Dreaming of Sandy Shores? We’ve Got Plenty. The beach. Close your eyes. What do you see? Endless stretches of soft sand? Crashing waves on a rocky shore? Towering sandy dunes? With endless kilometres of staggeringly beautiful coastline—rugged and rocky one minute, soft and sandy the next—we have the beach of your dreams. And the beach you’ve never even imagined. Hop from one province to the next to find your favourite beach experience. And then enjoy all it has to offer. 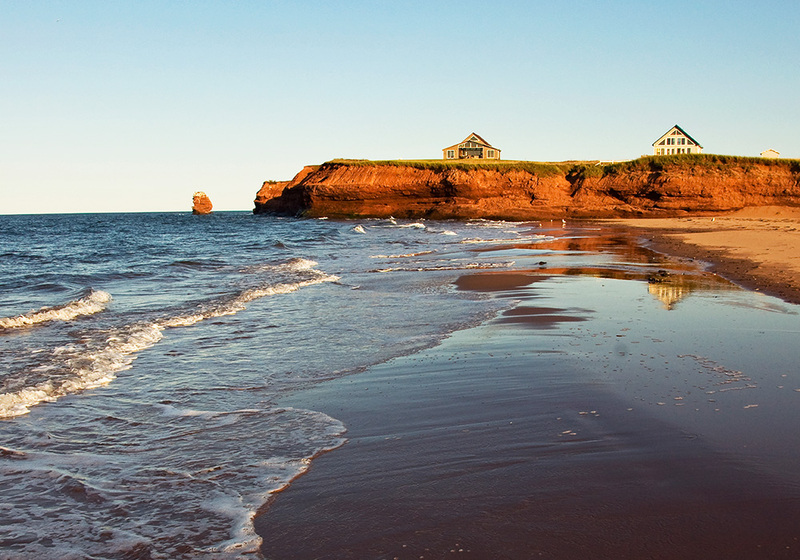 Prince Edward Island is practically defined by its beaches—smooth warm sand, red sandstone cliffs, soft blue sky, white-capped waves, and ocean as far as the eye can see. With 1,100 kilometres of extraordinary shoreline, it’s not surprising that much of it takes the form of pristine beaches. Splash in the water, build a sandcastle, or capture that unforgettable sunset. Enjoy a leisurely stroll, nap in the sun, or a rousing game of beach volleyball. We’re sure our beaches will captivate you. They’ve sure captured our hearts. New Brunswick is home to kilometres of unspoiled coast and the warmest waters north of Virginia, making many of our more than 50 beaches perfect for swimming. And if you’ve ever dipped your toes into the Atlantic Ocean, that means a lot. Imagine salty surf, sun-soaked sand, and the beautiful ocean sprawling before you. 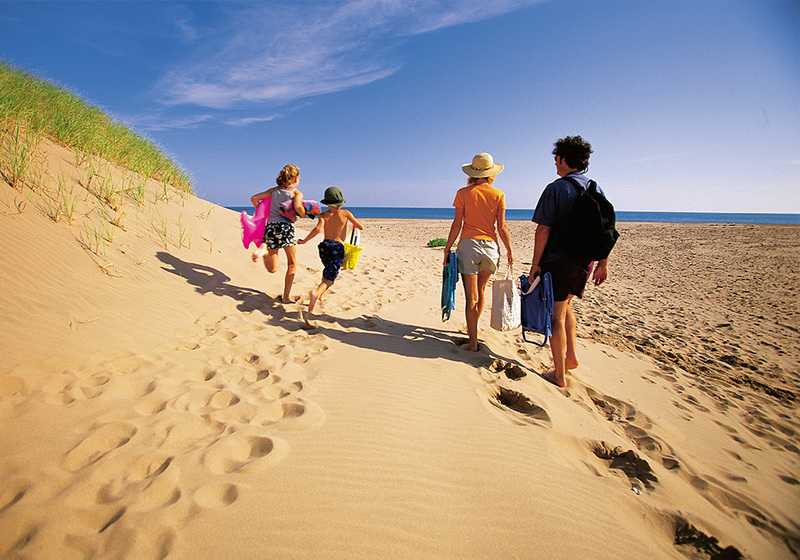 Or discover a different side of New Brunswick’s coastal landscape—explore sand dunes, marvel at tidal pools, search for ancient fossils, or stroll along boardwalks. Our beaches have more in store than you think. What are you in the mood for? There’s something about the beach that brings out the kid in all of us. And with Nova Scotia’s 7,600 kilometres of seacoast, there are plenty of places to play and explore. Wiggle your toes in the tidal flats of the Fundy Shore, swim for hours in the lovely warm waters of the Northumberland Shore, take your pick of beautiful South Shore gems, or fly a kite along the spectacular beaches of the extraordinary Eastern Shore. And the surfing! Nova Scotia is gaining international recognition as a great surfing destination, offering wicked waves and sweet breaks in any season. 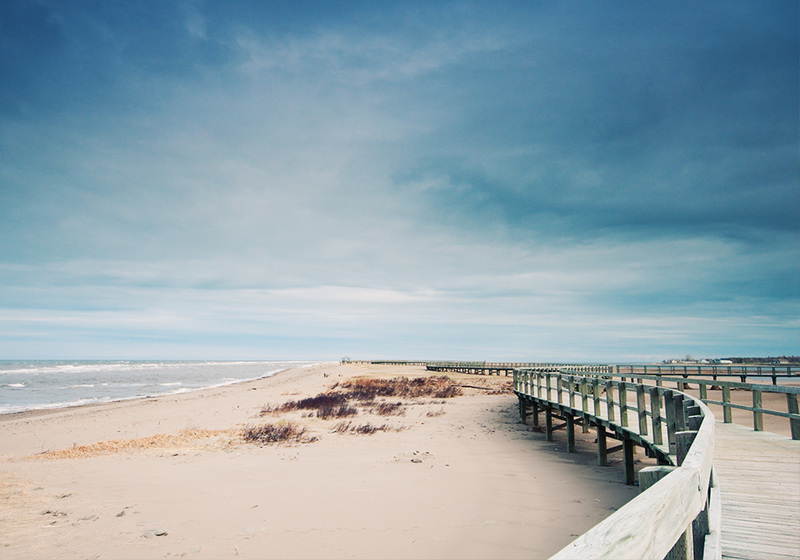 Each of our 125 salt and freshwater beaches has its own distinct character. Which one will suit yours?